Whatever your personal reason for working wood, it's undeniably a wonderful way to express creativity. Building things with your own two hands promotes physical, emotional, mental, and spiritual well-being. So make a point of getting into your shop on a regular basis. And remember it's not just about doing - it's about being. Take your project-building skills to the next level with the cutting system that adapts to your needs. The Kreg ACS offers all the advantages of a guided-cutting system for cutting plywood, panels and solid-wood boards with its high-performance Plunge Saw and Guide Track. Sponsored: The Grex GCK03 features the very popular Grex Tritium.TG - and combines everything needed to easily setup a full airbrush system. This premium top gravity fed pistol style trigger airbrush is one of the most comfortable, easy and intuitive to use airbrushes. Includes the AC1810-A quiet mini compressor and additional accessories. Sponsored: The new advanced North American formulation of Osmo’s bestselling Hardwax-Oil available in either Satin or Matte sheens. Water repelling oils soak into the wood surface to protect from within – waxes form a hard and durable layer on the wood surface to protect from the outside. Spot repairable and renewable – will not peel, crack, flake or blister. Simply clean the surface and apply more. Sponsored: This grip-friendly pen comes in a holster with a built-in sharpener for clear markings. The shape of the holster ensures that the pen stays in place even when you move. The pen's sharpener is in the holster for easy access. Via a hole in the bottom of the holster, dirt and moisture are led away from the pen for a longer durability. Easy to change lead. Sponsored: Titebond III is the only woodworking glue you'll likely need. It offers superior bond strength, longer open assembly time, lower application temperature, and easy water cleanup. It provides strong initial tack and sands easily without softening. The ultimate glue for bonding wood to wood. Ideal for both interior and exterior applications. The DEWALT cordless DVN662D1 nailer comes with everything you need to get started on jobs large and small. The nailer drives 16-gauge straight finish nails from 1-1/4 inch to 2-1/2 inch, making it ideal for tasks such as fastening baseboards, door and window casings, and crown moulding. Smart doorbells and viewers function like a normal doorbell or a standard peephole viewer but have the ability to connect to your mobile device via Bluetooth or your home WiFi network. Many smart doorbells are equipped with an integrated camera so you can record video or still images, and 2-way audio so you can talk to whoever is at the door. This heavy duty 11" sander runs at 1700 orbits per minute without the possibility of creating the swirl marks associated with high-speed rotary buffers. The smooth, hand-polished action safeguards against surface damage. It's ideal for work on wide panels and planks, for both sanding and buffing tasks. You know how it goes: your spouse has inherited Aunt Martha’s china cabinet and you’re expected to ‘fix it up.’ After all, haven’t you already made a number of beautiful pieces of furniture for the family? It’s interesting how everyone else can so readily look past the cracked, peeling, crazed finish and envision it again taking the place of honour in a dining room. Your reputation has preceded you and you’re expected to rise to the occasion. Marty Schlosser shows you how. Once in a while a tool handle breaks, maybe from excessive blows with a mallet. Or, perhaps you have purchased a tool, but the original handle just doesn’t feel right. Whatever the reason, making a new tool handle is an enjoyable process that provides you with the opportunity to further develop your design skills. Download our FREE Sharpening poster to your computer, print it, or save it to a USB Flash Drive and have it printed in a super large format at a local print shop. Then mount it on a shop wall for quick reference. Canada’s newest and largest consumer woodworking show celebrates everything to do with wood for hobbyists and professionals. Held in conjunction with the annual Toronto Woodworking Championships - open to woodcarvers, woodturners, and woodworkers of all skill levels. A table like this is at home in a living room, entry hall or even a bedroom. 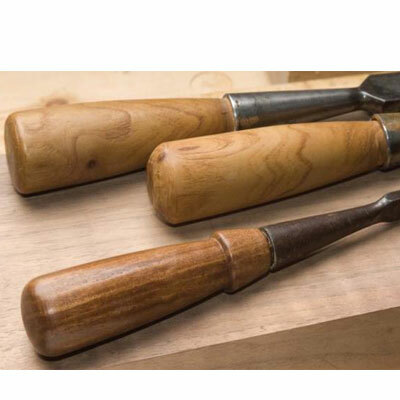 With lots of free-hand shaping, you will want to sharpen your hand tools before starting. Choose a wood that complements the style and decor of the room, and be patient – this is where a good piece of furniture can be turned into a great piece… or vice versa. Some of the most desired hardwoods such as the Rosewoods and South American Mahogany are strictly controlled to prevent over-exploitation. Lyptus, a hybrid of two Eucalyptus species, plantation grown in Brazil and distributed by the North American forest giant Weyerhaeuser, can be a solution to this problem. The trees grow fast and can be harvested within a short 14 to 16 year time period. Sponsored: The Centurion 12-120 is equipped with original features and designed to provide consistently precise cuts. A solid half-moon body is fixed on the bar with an easy-to-read graduation scale that has 13 pre-set angle holes precision machined to allow an exact and instantaneous lock. Includes a sliding flip stop facilitating repetitive and accurate cuts. Sponsored: When trees are felled, it is often hard to find the right tools for cutting the logs into valuable boards. Oversized logs are easiest to cut up on the spot where they were felled, and the Logosol Big Mill is the ultimate solution. The package consists of a saw frame for big chainsaws and guide rail sections, which give stability and highest precision. In addition to turning domestic and exotic woods, you can also turn alternate material and add them to your work to create unique, original pieces. A variety of nuts, including Tagua Nut or Uxi Kernal (from South America) are easy to turn, producing a fine finish and a nice result. In this article Paul Ross shows how he turns a dried nut from the Butternut tree (Juglans cinerea). After getting used to the unique handle design, and not withstanding its limited field of view, this router was a pleasure to use. It can handle a myriad of edge trimming and light routing jobs in the shop and on the jobsite. Just as important, it's unique design provides exceptional control for precise routing. With so many tools and machines getting larger and more powerful these days, it’s nice to know there are still some items that are made “just big enough”. In this list Rob Brown outlines tools he uses personally, and ones he has found to be very helpful and enjoyable while helping him do what he loves – work wood. Stephen Der-Garabedian shows how to build sawhorses from a James Krenov design – simple yet ingenious. While studying at Rosewood Studio he made them not only as a shop aid but also as a way to reinforce lessons in joinery. All the pieces can be made from 3" stock, and all but the legs are made from 1" material. Hardwoods such as maple or white ash work best, take all the abuse you are going to throw at it, and doesn't cost an arm or a leg. Sponsored: For routing, shaping and fine joinery projects, the Magnum Industrial MI-42150 Deluxe Router Lift and Table includes everything you need: a chain-drive router lift, durable cast-iron table, micro fence, hold-downs, dust box, mobile base and more. This router lift is made to deliver accurate, repeatable cuts and meet the needs of commercial applications.